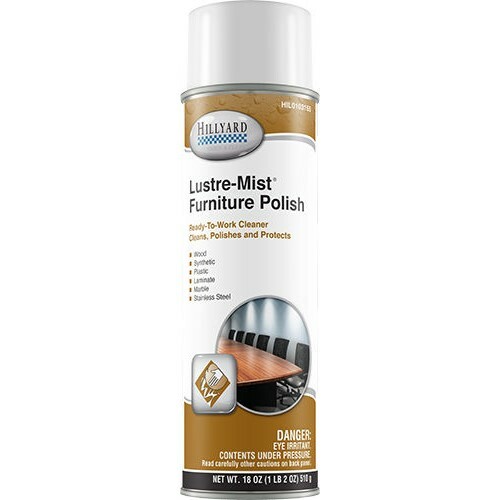 Lustre Mist Furniture cleaner and polish cleans as it waxes and polishes. Buffs to a high luster when used regularly. Treats the surface with a protective wax coating that resists grime, stains, and water spotting. Use on wood and steel furniture, stainless steel, Formica, vinyl, ceramic, and vinyl upholstery. Lemon fragrance.